Loving parents around the world are mobilizing to support an everywoman named Habiba, a Moroccan mother living in Spain. Habiba was down on her luck, living in a Madrid women’s shelter run by the Instituto Madrileño del Menor y la Familia (IMMF) with her 15 month old nursling, Alma. The shelter disapproved of Habiba nursing Alma on demand, and enrolled Habiba in a “parenting class” to persuade her to wean, providing medication to end her milk production. Habiba refused. The medical report used to indict Habiba’s mothering states, “The hours and type of food are chaotic” and “she uses breastfeeding as a pacifier and a toy, offering her breast any time the girl cries and letting her take it anywhere, no matter the time and context in which this happens (offices, corridors).” Further, “”We attempted to regularize and limit breastfeeding times, but it did not seem possible, so the possibility of stopping breastfeeding was raised ….” “… she continued to breastfeed. She was given pacifiers, but she didn’t use them either”. On May 31, Habiba left her daughter at IMMF’s family day care center, as usual. Upon returning, she learned that Alma had been taken away and Habiba was now homeless, as the shelter housed mothers and she no longer had a child. 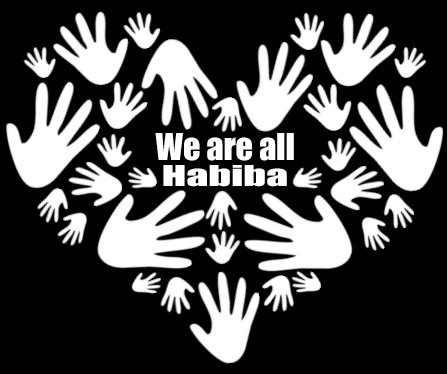 A Facebook page called Worldwide Mothers support Habiba! IMMF Give her baby back has been a hub for worldwide activists, organizing rallies at Spanish embassies, publishing news articles and facts on the case, and sharing contact information for IMMF and related government officials. The English media has been slow to pick up this story, but AP friendly bloggers are taking up the cause, enraged over the IMMF’s condemnation of cosleeping and its actions to cause suffering in Alma and her mother. After nine days of being apart, Habiba was allowed to visit Alma for an hour, under strict instructions not to nurse her daughter. Habiba expressed her concerns to Dr. Ibone Olza, a psychiatrist and birth activist who has taken on her case. Fundación Raíces, a humanitarian organization pursuing Habiba’s case learned that during night shifts, the shelter where Alma is staying has only two caregivers for 42 children under the age of six. While activists continue to demand Alma’s release, recent news reports have indicated that Habiba will need a job and a house before her daughter is returned to her. Questions remain for those parents who are informed about the importance of developing and maintaining a secure attachment. What further harm will be come to both Alma and Habiba as their separation endures? What will it take to educate the international community about the benefits of Attachment Parenting? And, while devastating to consider, if this could happen to Habiba and Alma, couldn’t this happen to me? Now is the time to stand up and help our contemporaries around the world understand what we all once knew. A baby’s home is her attuned mother – beside her breasts, her bed, and her heart. In the short term, concrete actions can be taken to help reunite Habiba and Alma, or at least to bring public attention to their cause. But in the long term, how can we raise awareness about the importance of establishing a healthy attachment, and the behaviors that facilitate one? How can we cast aside myths of spoiling our children in arms, at the breast, or in our beds? We’ve all envisioned a world where each child felt truly loved and supported. Now is our opportunity to start building it, one conversation at a time, one blog post at a time, one status update at a time. Let’s unite to spread the light of awareness and cast aside the shadows that keep ignorance alive. What will your contribution be? Note: Habiba and Alma have been reunited. I am just sick. And scared. At first I want to say ‘No! This couldn’t happen to me!’ But it could! I live in a situation where I AM under a microscope! CPS is all around me at my neighbor’s homes. She is a baby now, but what happens in a few months when we continue on with our healthy lifestyle as we are surrounded by forced weaning, forced separation, etc. etc.? That’s when they are going to realize how very different we are. I don’t know how to keep us safe with all these ignorant judgemental eyes surrounding us. All these sad bitter people who would turn me in in a heartbeat if I say the wrong thing, even make them mad, even talk to a neighbor that another doesn’t like! I am sick to my stomach. Please keep us updated. I am thinking of them and praying they are together even now as I write, and praying that we stay safe. Habiba and Alma have been reunited, see article linked below. May you and all AP families be safe, connected and thriving! It is horrific that these situations continue throughout the world. 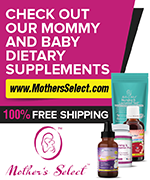 As a mother and author of “Creating Healthy Children: Through Attachment Parenting and Raw Foods,” I speak of the importance of following the needs of the child. Breastfeeding, skin-to-skin contact, the family bed, holding baby and other parenting principles are crucial for children to grow up with trust and self-assurance. Thank you for putting out this message so the world can see the cruelty involved in separating the mother from the child’s needs. As always, we do have to keep in mind we don’t know all the details involved. 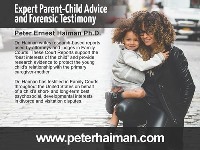 But it does once again raise the point about the general lack of understanding of children & attachment and how important it is that each one of us do our best to spread this important information (and support API in doing so) to all caregivers and the judicial system for the protection of children and their families. AP isn’t just a soft option, a “feel good” philosophy but a necessary critical natural phenomenon that must be allowed to develop for the sake of children and for all of us.